My church is exceptional. They exemplify excellence from the parking lot to the auditorium, and I never fail to snag a few WintOGreen LifeSavers from the bathroom before entering the worship experience. This weekend I felt the onset of extreme halitosis (no doubt caused by my Diet Coke on the way to church). I grabbed a handful of breath helpers and popped one during a baptism. My tastebuds immediately recoiled in horror as the undeniable taste of soap and scented lotion assaulted my mouth. It was wretched. Undeniably I shed a few tears during worship anyway, but without a doubt, several of those falling were as a direct result of my SudsOGreen frenemy and having to make the hazardous decision whether to finish it or fish the few pieces out of my highly offended mouth and carefully wrap them back up while still praising the Lamb. Walking with the Lord is not for the weak of Spirit, my friends. 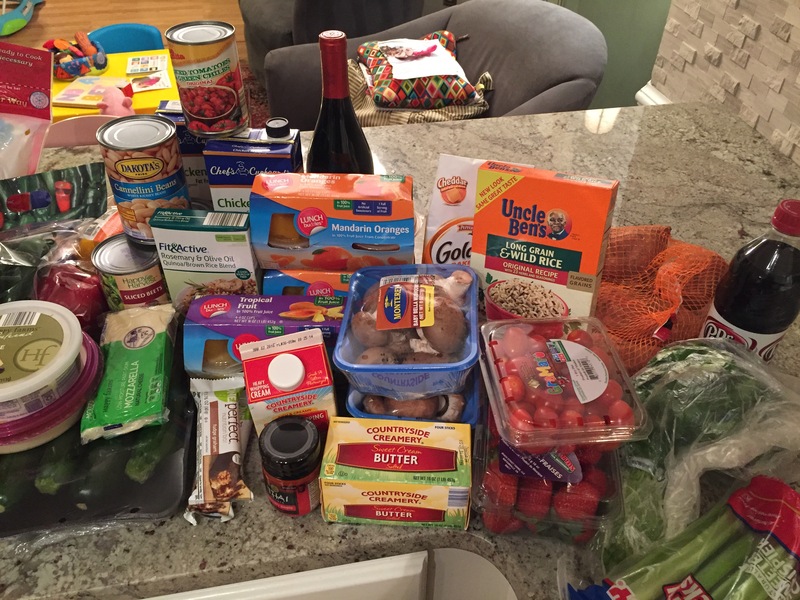 Thankfully, my heart had been fortified by a powerhouse trip to Aldi and Publix on Saturday evening (livin’ wiiiiiiild, y’all) to power through meal planning shopping. Truly having a well-thought out and well-shopped out grocery list going into the execution of the week’s meal plan eases my mind and our bank account. 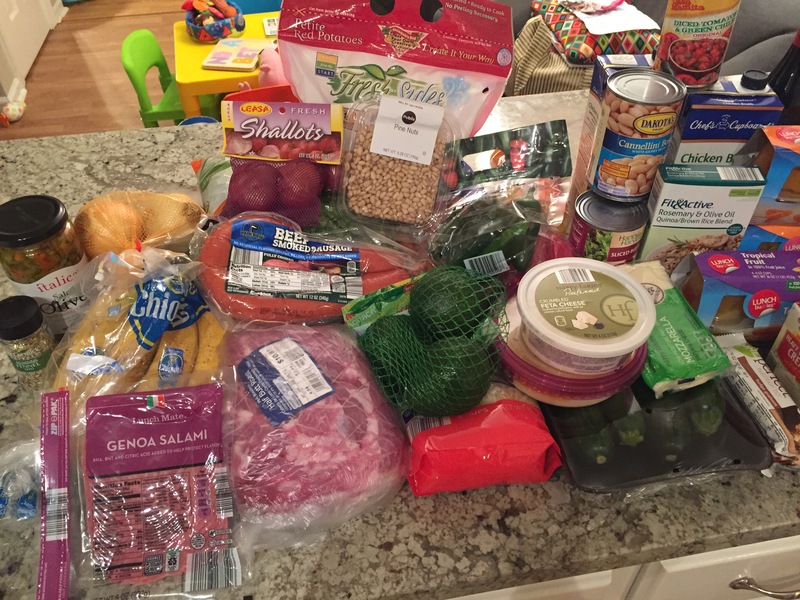 I had planned six entrees (one of which we’re doubling to give to some neighbors who just had their second precious baby) as well as all of our breakfasts and lunches and was able to complete our list for $104.18. 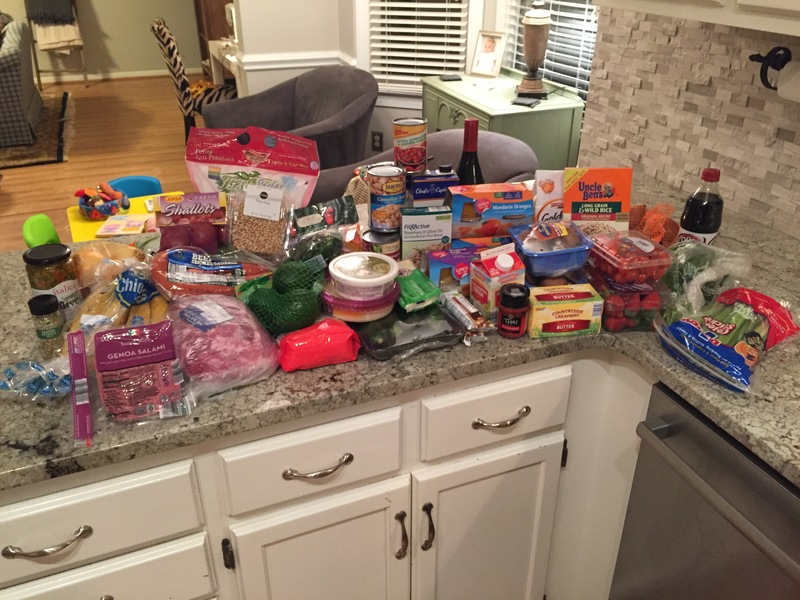 Below is a breakdown of what I bought (and a quick note about what we already had on hand). ALDI: I adore Aldi. But I tend to treat it like the nice girl who will always be the best friend, not your main love interest (oh, hi. I know a lot about you because I was you. You are pretty.). Though I am obsessed with the selection and pricing, for some reason I think it’s an inconvenient stop, even though geographically it is very convenient, and any grocery shopping voyage requires stops at more than one store these days. I would venture to guess that most people have a handful of these ingredients on hand, and worst case scenario would need to add those proteins and a handful of Asian ingredients to their list. If I were going to high ball a start-to-finish list in that situation, I would guess about $135 for 6 entrees (one doubled), 7 breakfasts and 7 lunches.